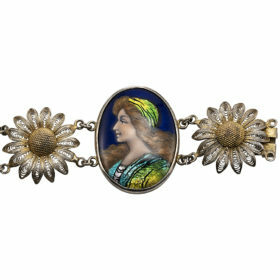 A European silver bracelet with hand painted portraits in polychrome copper enamel. 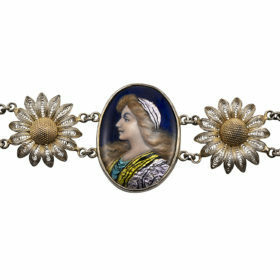 Elegant hand crafted daises alternate between each portrait. 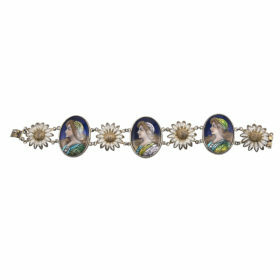 Vibrant colors and and delicate craftsmanship certainly make for a unique statement piece.